Brushes hold sharp chisels or fine points, carrying large amounts of pigment. 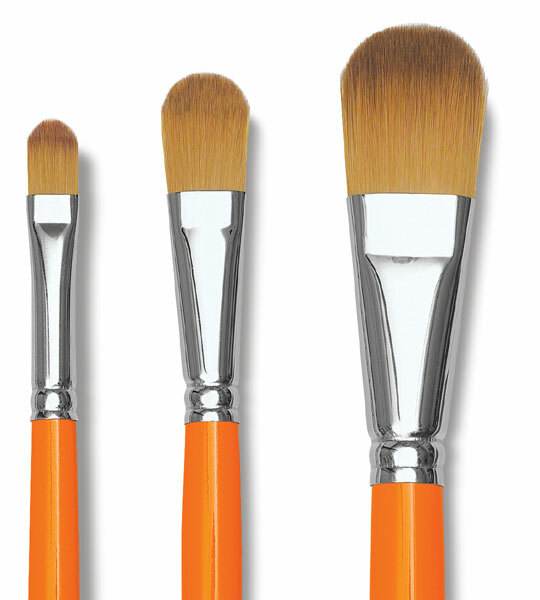 Fine synthetic filaments can withstand damage and wear when painting on rough surfaces. Nickel-plated brass ferrules on short, blue handles.